Fermented oat cooking base, an alternative to crème fraiche. So f***ing fraiche. Are we allowed to say that? I really hope so. Well actually you can't say that word because *** are unpronounceable but when you write them then it makes perfect sense. Anyway, we are excited to bring you this product. 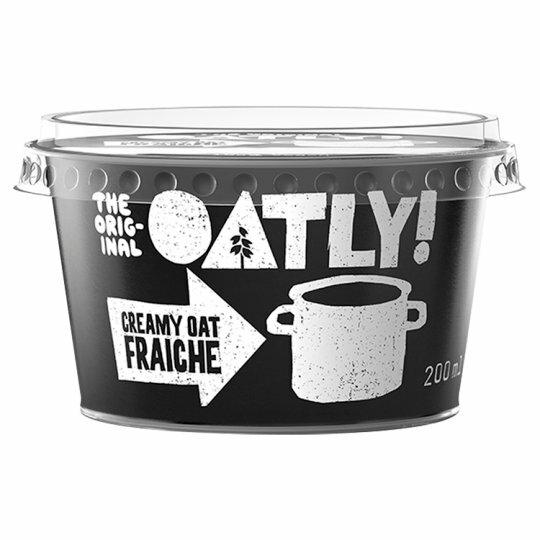 It's a lot like crème fraiche, but we used oats instead of cream to give you a different take on one of the most flexible ingredients in the modern kitchen. Straight up Swedish grown oats that will make whatever you want to make taste great (whatever that tastes like these days). It's a fraiche without the crème! There are probably a few million people out there who have been asking for this product for the last few years and now it's here. We've worked really hard to make sure that our fraiche provides the same great performance as a traditional crème fraiche, but without the cream. It has got 15% of nicely composed fat with only 6% being saturated. Then there's something else we can't tell you about but you'll know it when you taste it. Keep refrigerated., Once opened consume within 5 days., Best before date: See foil.